The Windows Store may be fairly light on great apps, but BlueStacks gives you access to over 750,000 apps on your PC/Laptop – including lots of touch-enabled games. 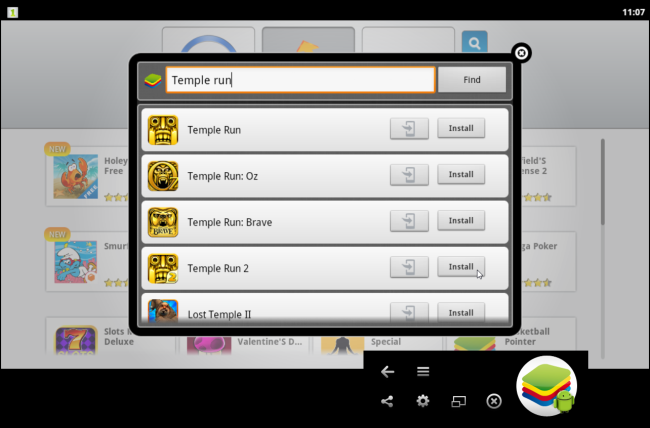 Various Android app emulators have been available for Windows for a while, but they haven’t really had a purpose. With touch-screen Windows PCs and tablets, there’s now finally a reason why you might want to run Android apps on Windows. 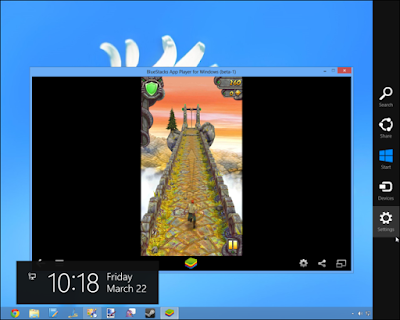 BlueStacks App Player is a versatile program that bridges the gap between mobile and desktop by allowing users to run their favorite Android apps on their Windows or Mac OS X devices. An innovative "Cloud Connect" feature allows you to push apps from your Android device to Bluestacks, and vice versa. First released to the public in 2011, the program has continued to grow, and is currently free for download in its current beta form. 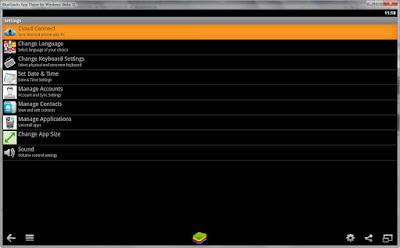 Want to get a taste of Android on your desktop? 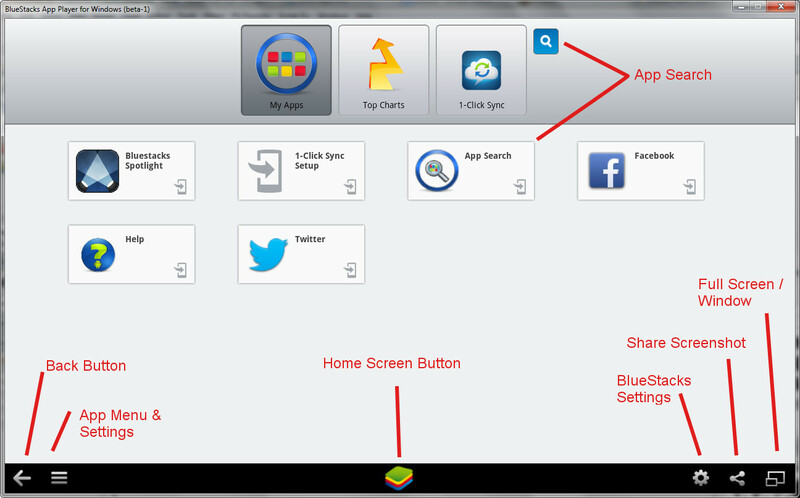 Here's how to set up BlueStacks, as well as a rundown of some of its controls and interesting features. 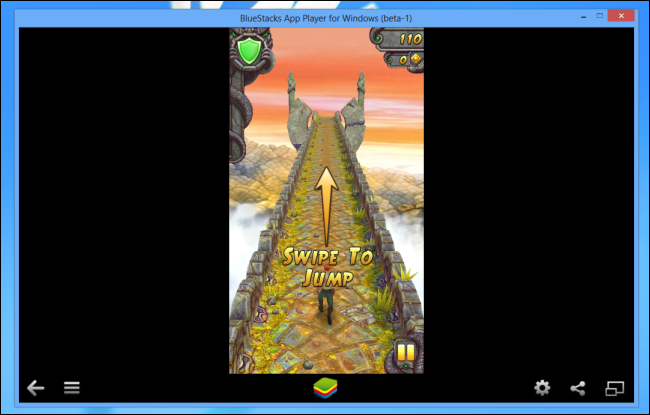 BlueStacks App Player is available for Windows and OSX computers, and is a quick, compact install to your boot drive (there's no option in the installer to go to a different drive or directory). The only choice you make during the install is whether to allow the program to make notifications, as well as the option to opt in to BlueStacks Spotlight, which holds daily app giveaways. 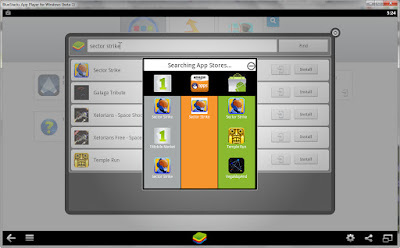 Once installed, BlueStacks will boot up to its Home Screen, where you can access your installed apps, look up apps in the "Top Charts," search for apps, and access settings. You can use the mouse for basic touch controls here, with clicking and holding to simulate basic tap and swipe controls. 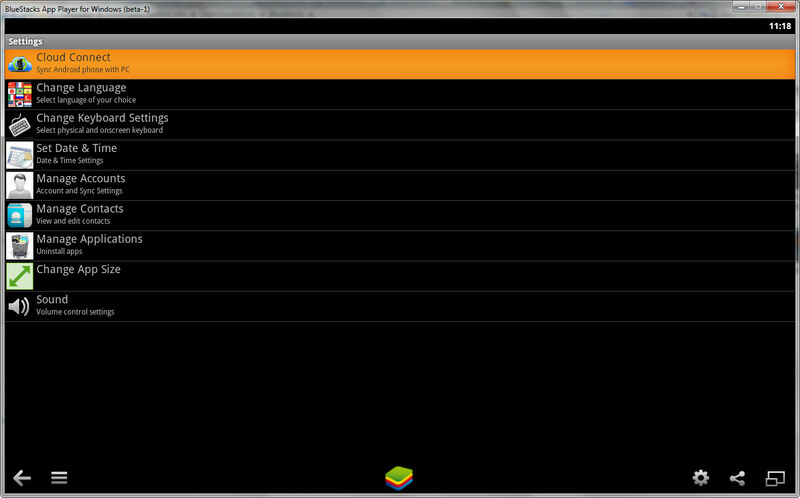 From here, we'll need to do a bit more setup before you can get around to installing apps. 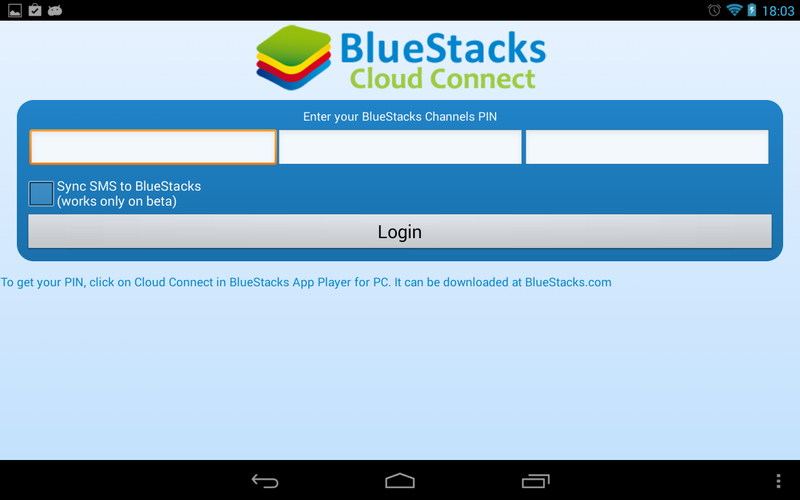 You'll need to set up access to the Google Play store and associate a Google Account with BlueStacks. 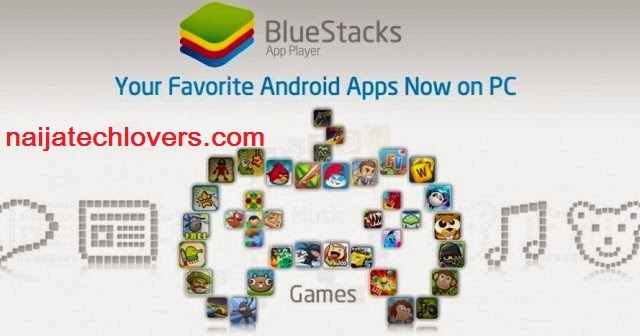 With BlueStacks installed, the first thing you'll want to do is associate a Google Account so that you can get onto the Google Play store and download apps. Go to "My Apps" and click on "1-Click Sync Setup," which will bring up a wizard interface that will guide you through the process. Basically, you'll need to either create a Google account, or sign in with your existing one. 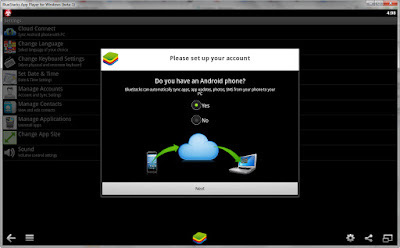 An optional step for users with an Android smartphone or tablet is to set up BlueStacks Cloud Connect, an app that allows you to push apps from your Android device to BlueStacks, and vice versa. 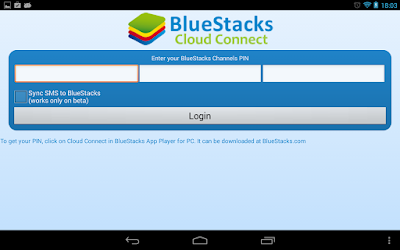 Download Cloud Connect for your Android device, and then go to the Settings button on BlueStacks and click on "Cloud Connect". 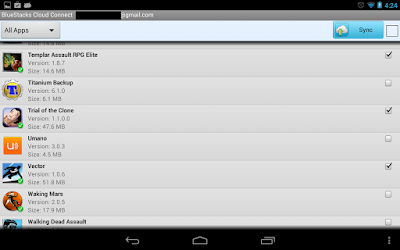 If you have an Android phone, input an email address as well as your phone number. 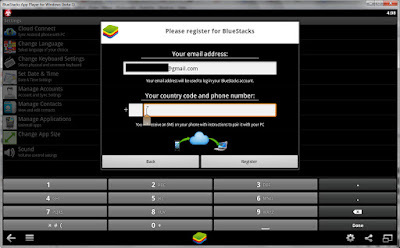 You will then receive instructions via email and SMS on how to connect your phone to Bluestacks, push apps, and sync SMS. If you're running an Android tablet, you instead just use an email address to synch BlueStacks with your device. After registering BlueStacks Cloud Connect, you should receive an email containing a PIN number, which you input into the Cloud Connect app. 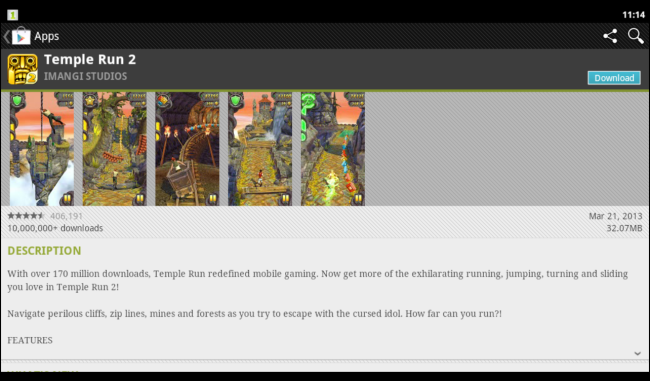 You should now be able to push apps between your device and BlueStacks. You're essentially installing the same app on your desktop and mobile device, without syncing app data (such as login credentials or game progress). 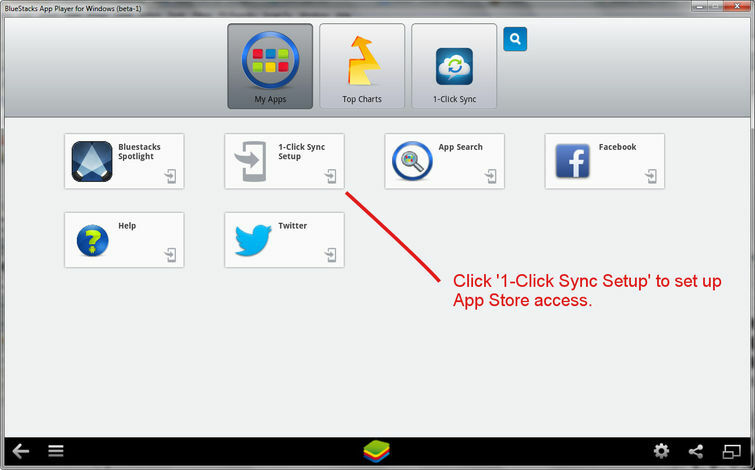 Still, it's an easy way to copy apps from your device to BlueStacks, or vice versa. If you're not going to sync apps to and from your Android device, you can just use the built in App Search to search for and install apps from Google Play, Amazon, or 1Mobile. 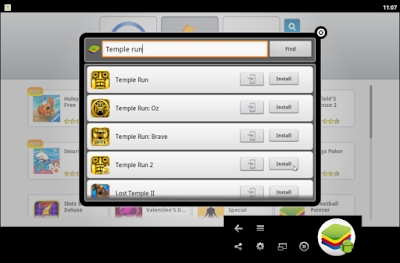 It may seem confusing at first, but BlueStacks won't let you get to its three built-in app markets directly. You'll need to go through the App Search button. 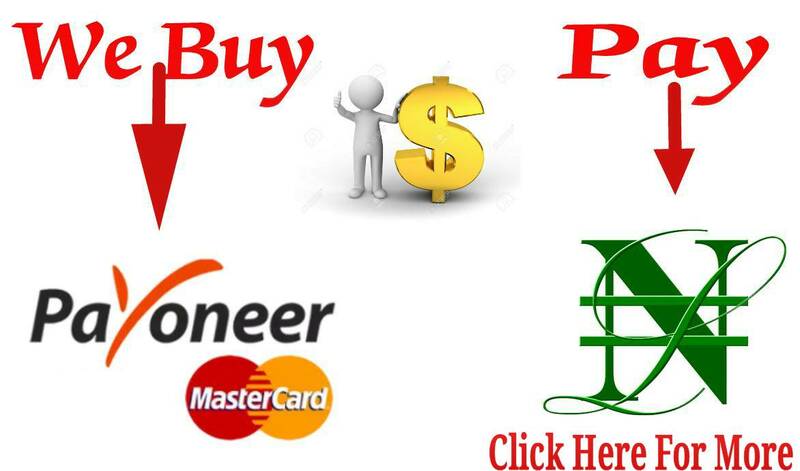 Type in the name of the app you're looking for, and it will search 1Mobile, Amazon, and Google Play for matches, and give you the option to install apps from any of the above three stores. Once you've accessed one of the three app stores, you can then navigate that store. Within Google Play, for instance, you can take advantage of the store's search and other features. Once you return to the Home Screen, your newly installed app should be ready to run. 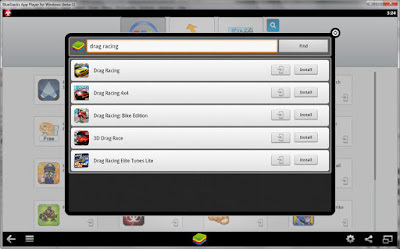 BlueStacks can run an impressive variety of apps from social networking tools and multimedia apps to games. However, BlueStacks won't run everything, so expect a little trial and error for compatibility. You should now have everything you need to install and run apps from BlueStacks, so we'll finish up with some extra notes on in-app controls, as well as settings. Unless you happen to be running a touchscreen rig or a Windows 8 tablet, you're going to need some way to approximate pinch to zoom, as well as tilt controls. Tilt Controls: 'Z' or 'X' can be used to simulate tilting a device left or right. 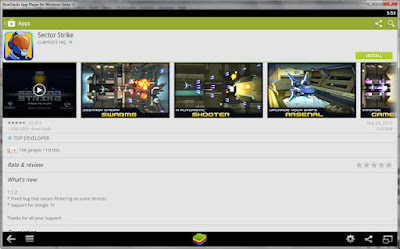 BlueStacks supports the use of gamepad controls for many apps, which will be a godsend for users looking to play Android games on a PC. 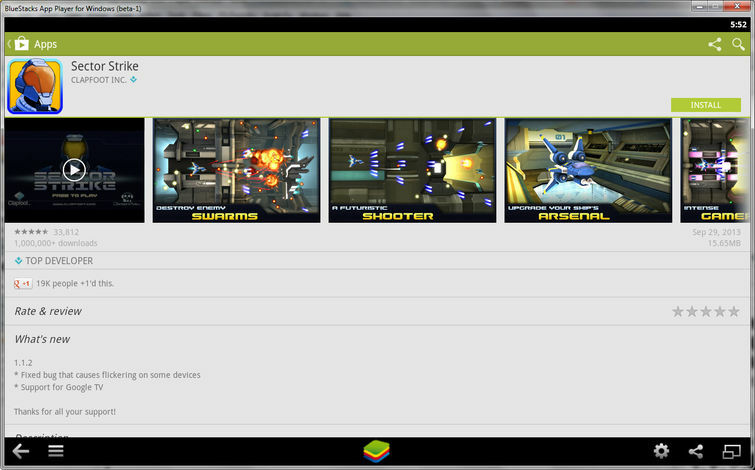 Plug in your controller, and Bluestacks should inform you if a particular app supports a controller. Finally, the Settings menu (gear icon) contains assorted system settings for language, keyboard settings, contacts and account management, and an app manager for uninstalling applications and setting their default sizes.